Today I will talk about one of my downfalls; not just with Paleo, but with life in general! I am guilty of not having much patience in life, and at times I think it hurts me in many ways. Let’s look at how patience is important to Paleo. When you start down the road of a Paleo lifestyle, you are bound to have ups and downs. It is very hard, if not impossible to have the willpower to be perfect. Often you slip up and don’t even know it until much later. Even the definition of what is and is not paleo is fuzzy in certain areas so who is to know for sure where all of your choices will settle out. I am a perfectionist, and that can be good in some places. When it comes to eating Paleo though, I have learned to avoid the temptation to think that I can be perfect. 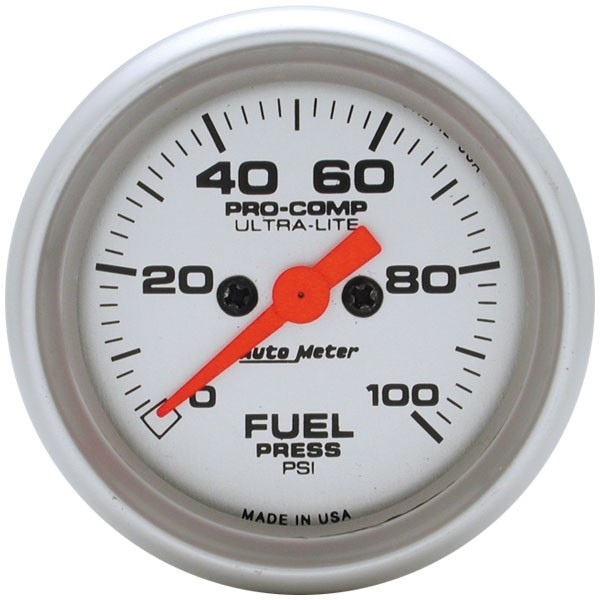 I think of my eating as a fuel meter that ranges from 0 to 100. It is unrealistic that I can keep this meter pegged down at 100 all the time, and if I make that my only acceptable goal I will fail. I’m not saying that you should not care, or try to eat clean, but you must be patient with yourself. Life is after all to be enjoyed, and occasionally that may mean deviating from the Paleo path. I don’t do this often, but I have in the past, and I am certain I will again. The key is that when I choose to “cheat,” I do so very deliberately and with no remorse. I keep my fuel gauge as close to the 100 mark almost all the time, so I will allow for episodes of dietary indiscretion in rare instances. When I started Paleo I was gung ho crazy to be perfect. One important part of Paleo I had not yet learned to appreciate is trying to eliminate stress from your life. If you place so much pressure on yourself to be perfect that a cheat will literally ruin your week, you have to reset your priorities a bit. I was guilty of such behavior, and I was taught early to change my ways by my biggest cheerleader…my lovely wife. One night about 4 months into changing to the Paleo lifestyle we took the kids to Dairy Queen. I can say honestly up to this point I had been 100% compliant to my knowledge, and it was becoming almost an obsession. For me, an obsession is easy to come by, and not healthy at all. We pulled through the drive thru and I ordered my kids some ice cream. As I looked at the menu, I just decided on a whim to order a Peanut Buster Parfait. I’ll be honest…I ate it all, and it was SO good. That night I could not sleep I felt so guilty. I had not planned it, and I felt weak to just order something so half-hazardly and eat it! I moped much of the next day and into the evening, and my wife, knowing me all too well, asked me what was wrong. She knew what was wrong, but asked anyway. I explained to her my guilt, and she simply asked me what I would tell a patient in that situation. It was easy to know that I would tell them that we all make errors, and you just move on. This episode was very good for me in many ways. First I realized that even though I ate ice cream, it did not change my Paleo values in any way whatsoever. I picked up the next day and carried on with my clean diet. This showed me another aspect of food no longer controlling me. Food can control your behavior, but it can also control your reaction to your behavior. I essentially forgave myself for eating the Dairy Queen, and moved on! I never really looked back (remember the fuel gauge) and that’s something I had always had a hard time with. This also led me to develop what I call the Paleo Cheat Hypothesis, and it goes like this. If a caveman walked into a cave way back in the day, and stumbled upon a Peanut Buster Parfait from Dairy Queen, would he taste it and reject it on principle? NO WAY! I have no doubt he would have eaten it and gone back home to tell his family! I know, I know, it’s a little silly, but just the same way that occasionally a prehistoric human found a comb of pure honey, we can occasionally gather edibles that are not the healthiest. It’s gonna happen to you eventually. You have two choices; either fester over it forever with the belief that you should have been perfect, or just let it go and move on. Just keep that gauge between 95-100 as much as possible, and everything will be ok. Always be patient with your fallible human self. In addition to patience with yourself, you need patience with your progress. We all want to get healthier, fitter, happier, more energetic, and for our biomarkers like weight, blood pressure and cholesterol to improve. That said, it won’t happen overnight, and may not happen ever to the extent that we want. Don’t make demands on yourself and make them a prerequisite for success. Your goals are important, but so are the lessons that the journey will teach you. Use every day to learn from your successes, and your failures. Remember that going Paleo is a lifestyle, and a lifestyle lasts your whole life! In life we all want to believe we can and should be perfect, and that we can be that way now. I advise all my patients to try to be all that they can be. This means pushing yourself, redefining what you feel you can achieve, but also to do this with a good deal of patience and appreciation for the journey. You will never be perfect, you weren’t designed to be perfect, and don’t be fooled into thinking there is anyone out there who is. I’m certainly not, and I’m actually kind of proud of that. In fact, my imperfection has taught me to be a better Christian, father, husband, doctor, and person overall. Great post! This is a key to success, I think. My wife just wrote a blog about planning out your “treats” along the same lines… Myfitspiration.com. Thanks for sharing! You’re human, alright! So, where can I find a physician like you? You know, one who has knowledge of cutting edge old style nutrition? And one who’s blogging and thinking and moving in the direction health-seeking patients should or would be moving? You’re the rare, maybe-going-extinct kind of doc (even if as a society we are moving closer to better heath via real food, and leaning toward watching the markers that really matter). It’s very frustrating and, yes, demoralizing to run smack into walls with doctors who are not getting the WORD! Keep up the great work; you’ll have better rewards than the bad old school docs. I wrote a comment here yesterday but it seems it didn’t post. I’m on iOS so maybe I’m missing it? Do you know what happened to it?